H x Dia: 705 x 400mm. Slingsby's touch top waste bins are a compact and convenient option for disposing of waste. Whether in the workplace or in the home, our waste bins offer generous capacity and their touch top lid allows for one-touch easy opening. The lid is easily removable, making it easy to remove the bin bag once it's full and then dispose of it. Boasting a unique and sleek design, Slingsby touch top waste bins also come with two carry handles - making it utterly simple to move them from one place to another whenever you need to. 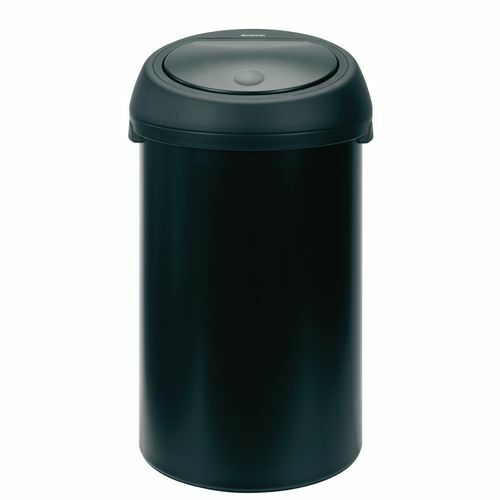 These durable waste bins offer a capacity of 50 litres, making them a practical option for both work and home.